LabRoots, a leading scientific social networking platform, wins three silver awards for Sales, Creative and Technology Departments of the Year for 2017. 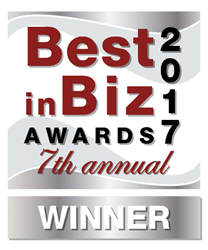 LabRoots has been named a silver winner in three categories in Best in Biz Awards, the only independent business awards program judged each year by prominent editors and reporters from top-tier publications in North America. LabRoots has been awarded the silver in the Creative Department of the Year, Sales Department of the Year, and Technology Department of the Year. Functioning as a highly-collaborative unit, the development and creative teams worked diligently to meet the increased demands spawned by the sales team’s outstanding efforts to drive revenue and growth, seeing a 25% increase in 2016, and then another 25% in 2017. Working closely with each client, the sales, design and development teams worked to design and build custom content, webinars and virtual events.